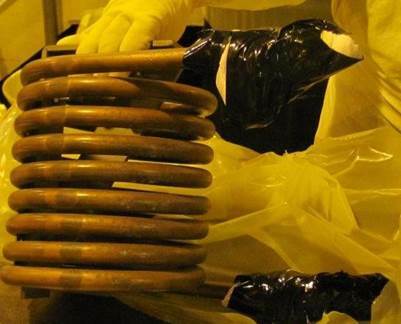 We perform a visual examination of the as‐received component and document, with high‐resolution digital photographs, the overall condition of the component, as well as any unusual findings such as the presence of surface defects, discoloration, oxidation, corrosion, pitting, wear, cracking and deformation. We use the results from the initial surface examinations to help define subsequent component sectioning and additional examinations. We offer non‐destructive examinations including dye penetrant exams, ultrasonic testing and/or eddy current testing. 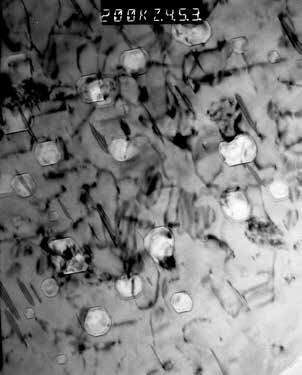 We can perform metallographic examinations to determine material microstructure; such as grain size, inclusion distribution, and can do this on selected cross sections removed from the part, which can be taken transversely to any cracks present in the component. 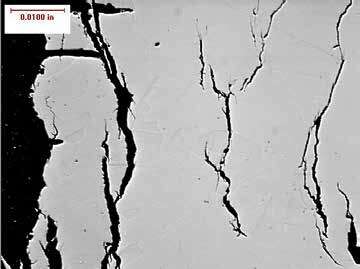 We normally conduct the metallographic examinations in the “aspolished” and “polished and etched” conditions to establish the location, depth and distribution of degradation and cracking and their relationship to the local microstructure. We can also obtain information regarding potential surface attack phenomena, crack initiation location, crack propagation direction and crack morphology. 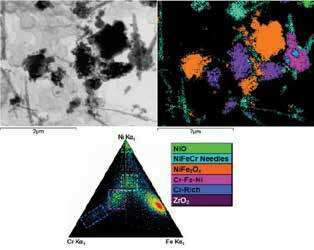 We can provide chemical evaluations of the base material, surface deposits, crack deposits and weld metals, using energy‐dispersive spectroscopy techniques, X‐ray diffraction and/or wet chemical analysis techniques. 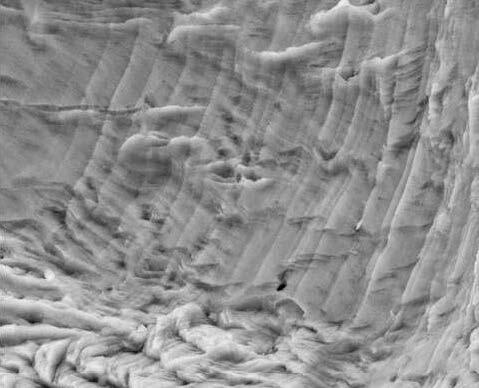 For detailed surface characterization, we use a SEM‐EDS equipped with a focused ion beam mill. This TEM is also equipped with a Si(Li) X‐ray energy‐dispersive spectroscopy detector for TEM‐XEDS and STEM‐XEDS analysis. For TEM imaging, we have atan Orius SC1000B , which is an 11‐MP CCD camera . 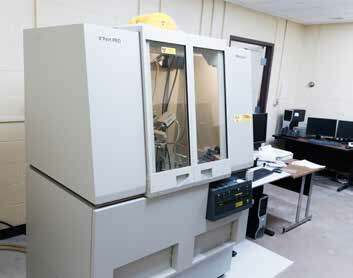 Radioactive specimens can be analyzed using this equipment. We can provide both conventional grinding, polishing, and etching to perforation of TEM specimens as well as FIB TEM specimen preparation. X‐ray diffraction (XRD) identifies materials by measuring diffracted X‐ rays from microcrystalline samples. Our XRD has a high‐speed Si strip detector, which has increased data acquisition times by approximately 20 to 100 times. In addition, the equipment includes specialized X‐ray optics for performing X‐ray micro‐ diffraction and residual stress measurements. 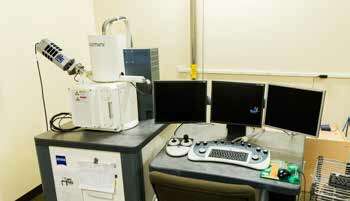 Radioactive specimens can be analyzed using this equipment.